This painting is a tribute to my wonderful mother. My mother passed away in 2014 and I kept her pearls and her purse. She always loved my family jewels series so I had to include her. The series was about the style and grace of family members that have departed. 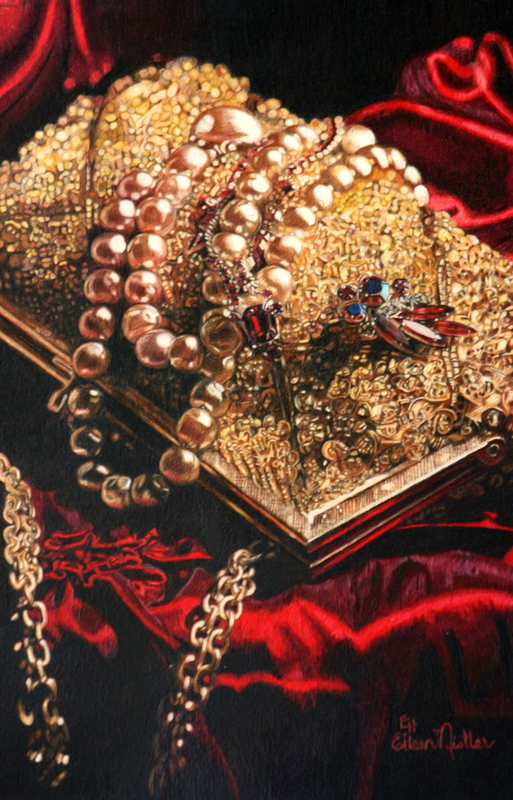 The jewels are not the literal jewelry but the jewels that the ladies that wore them were.